On other forums we tend to have a running thread with current trips, outings, projects. Made me think it may be a fun topic here. 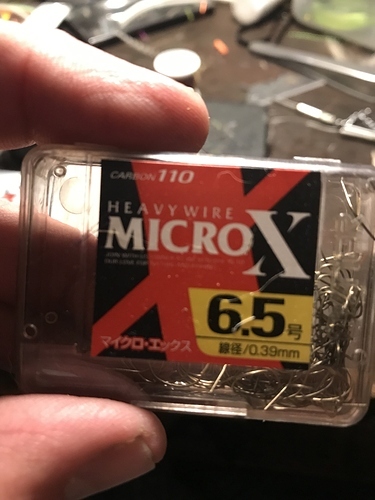 I’m planning on fishing tomorrow, I will take some pictures and post a short summary on this thread. Please feel free to add anything and everything in this catchall thread. Please feel free to add anything and everything in this catchall thread. I am in a phase of my tenkara where I am returning to a familiar large western canyon river, the Colorado in Glen Canyon. I have fly fished there over umm, 30 years having caught a thousand or two big river rainbows. 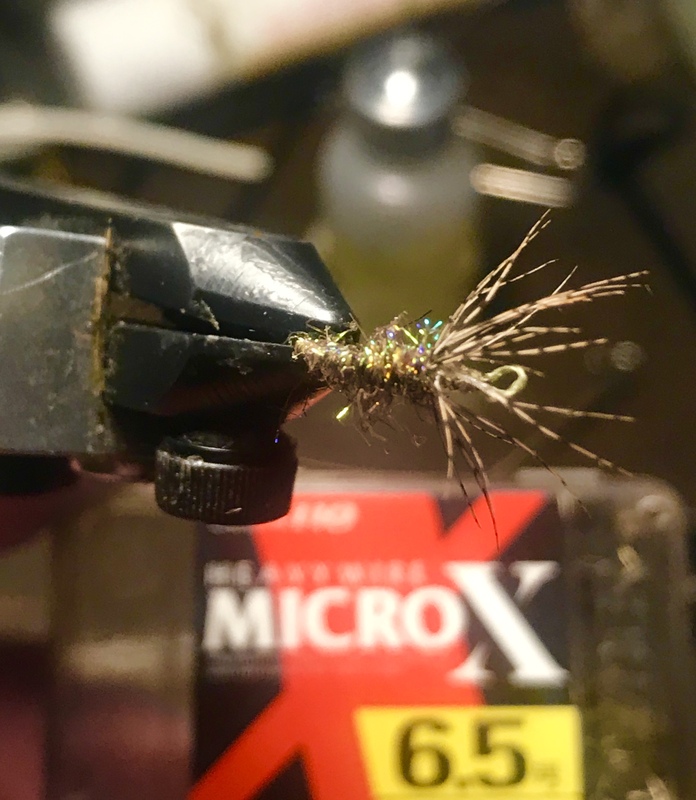 I’m returning now with a big tenkara rod and it’s working! I have a guide drop me off at a favorite place with my packraft ant I camp, sleep, goof around and fish, blow up my raft and paddle back to my car a few miles to go home. 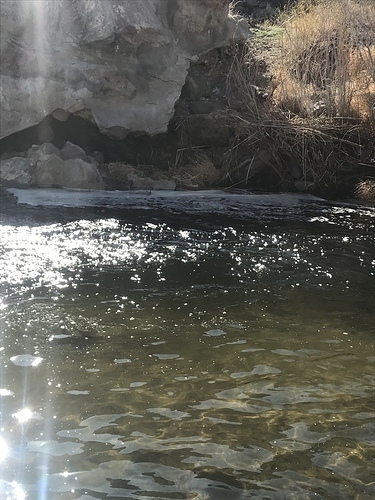 Until the blow out is over (400% of our snowpack this year) I’ll be fishing in this canyon. 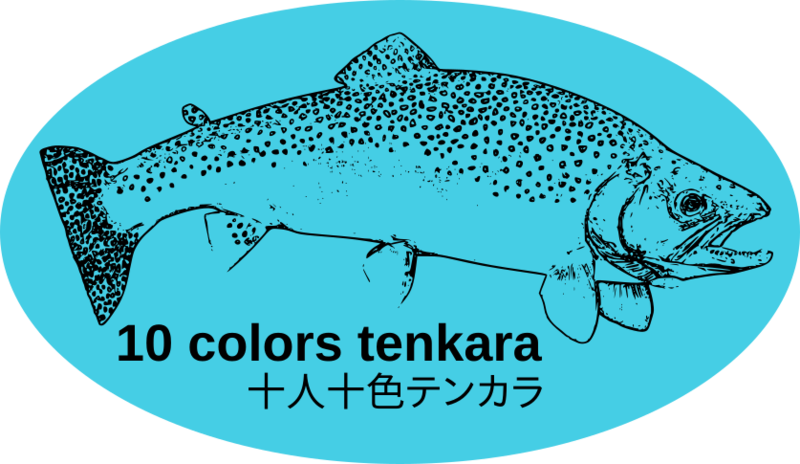 During the summer, tenkara in small mountain (alpine) streams. I had a trip planned to New Mexico for bikepack camping, fishing and Baja’s El Picacho del Diablo for Mexican trout but my day job threw a big curve ball at me that just about knocked me the eff out. So those adventures will have to wait till next year. Looking forward to reading about your fishing. I enjoy reading stories about people fishing. Much more so than even professional writers. Headed out around 9:00, with all the water really high and off color there is not a lot of choices. 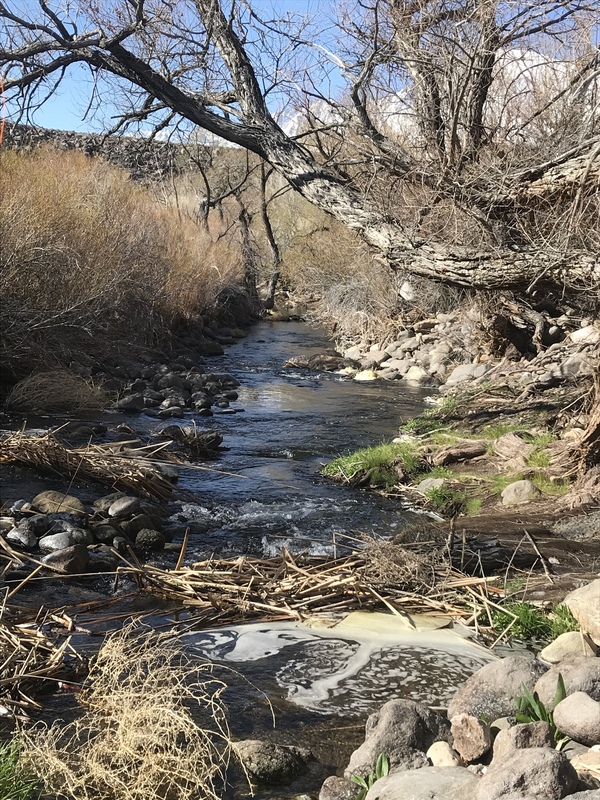 I went the a spot that always offers good fishing only to see the parking lot full.So headed up stream where there tends to be less people because it’s pretty overgrown and only holds smaller fish. Luckily no one was parked up that way, yeah! I started with a small bead head as it was cool and the fish were siting on the bottom. 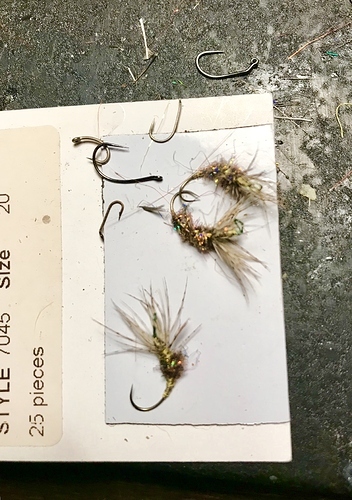 Worked up the stream to pool I usually do well in and caught 6 small browns. I then noticed the fish becoming a bit more active so I switched to a kabari and immediately hooked up several slightly nicer fish, 8-10” range. 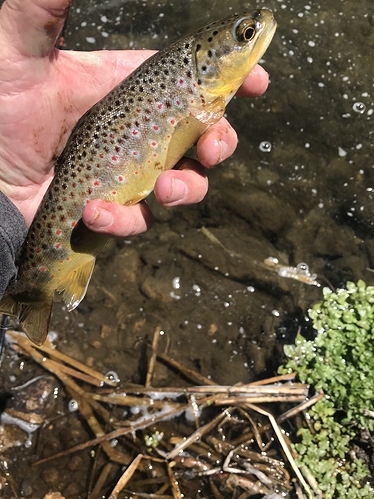 I decided to get a shot of one of the browns when I noticed my phone was gone! I searched and searched no no avail. 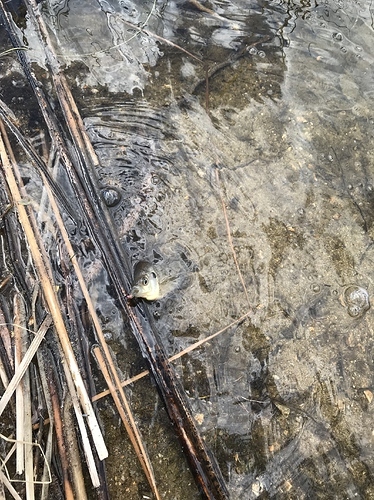 So I decided to go back to the last spot I took a picture in the center of the stream and there it was under a foot of water completely inundated. I though well there goes that phone, pulled it out and she’s works!!! It had to be under water for 20 mins at least. So all well that ends well, it’s a beautiful day and I didn’t get skunked! Unluckily haven’t been on the water so today I’ll say on the bench! Fished for an hour at lunch today at a hole I always catch a few small browns. I had 3 takes but no hook ups. It was really windy and I think my fly was being dragged too fast. Well had a slow but great day. Went to the upper Owens today and caught several nice fish. The weather was terrible (windy) but temperatures was nice. Caught two small native rainbows then hooked a nice brown that got off. Fished the hole I hooked the brown from 15 mins more when I hooked a beautiful rainbow, 20”+ probably a good 3lbs deep red sides just amazing fish. 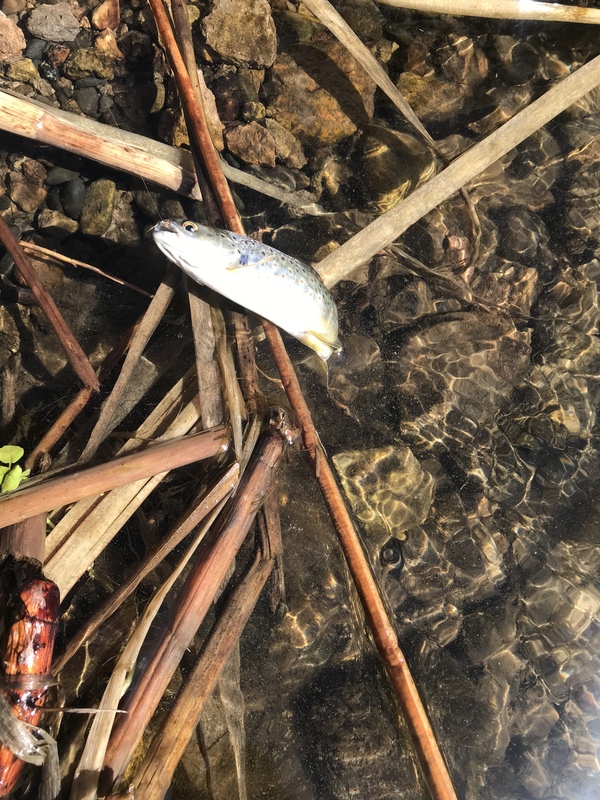 Since this was a breeder going up the river to breeding grounds I did not get the fish out of the water and once in hand underwater the fish was easily unhooked and back up the river. What a beautiful day. I fished my Oni 1 all day and fell even further in love with this rod. You are in some beautiful country. A decade and a half ago i had opportunity to fish some water slighly south west of that area for some golden trout. I supspect that those are probably your stomping grounds. 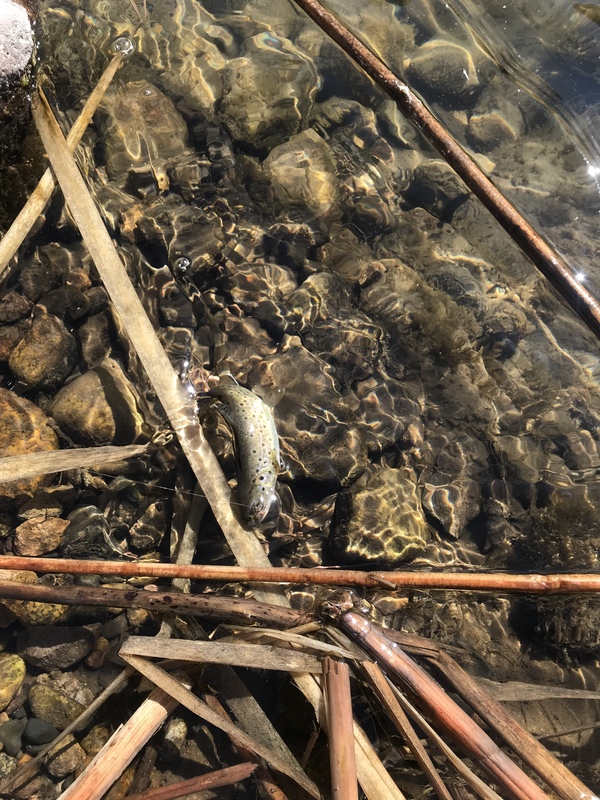 Do you target the golden trout often? Yes I love back country fishing. This year will be tough as the snow pack is still so thick. 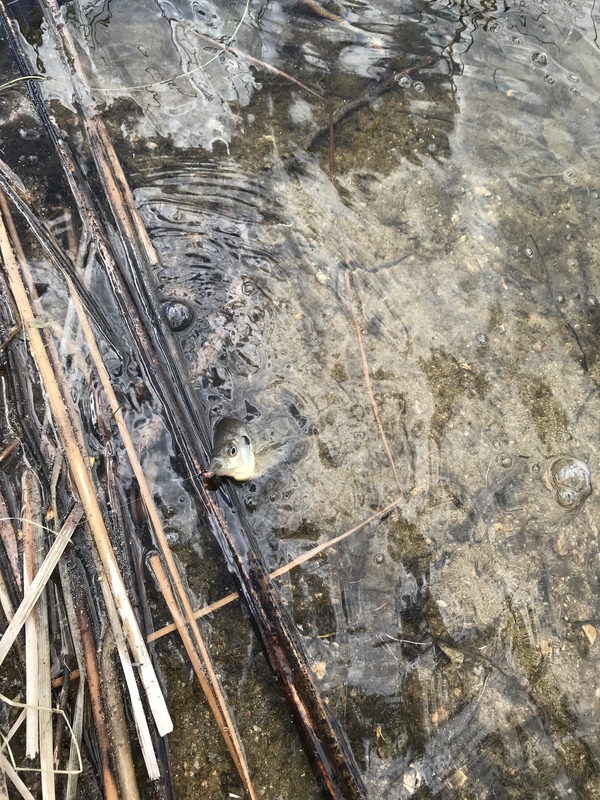 I have a golden trout spot that gets zero pressure and the fish bite just about anything. But it’s a 8 mile hike in. I think I fished the treasure lake area. This was pre tenkara for me. Just beautiful. One time my buddy and I got snow dumped on us…on an august day…where the day before it was 90 degrees in bishop. If your ever in the area again you have an open invite. I live in Bishop. Thanks. Someday i would dig returning. Fished in the wind for a couple of hours. Only caught 7 fish at this spot. !then went a pond that’s close to my house and caught a dozen small bluegill. Was a good day even with the wind.